Reuse & recycling are hallmarks of the railroad culture. The concept of sustainability has always been part of the railroad. While steel is a readily recyclable material, it is also quite durable. Rail, plates and other track components with a previous service history are referred to as relay materials. They can be installed and uninstalled indefinitely until they become too worn or damaged. At the end of their service life, they are recycled as scrap - unless we get our hands on some with historical significance. Crosstie timbers are often moved from main lines to side spurs or sold as timbers for landscaping and other architectural projects. The timbers that we use come from culls - or ties that won't make grade. Those timbers are often times burned as fuel in the tie plant furnace or made into pallets - unless they make their way to our studio where we find a higher purpose for them. LEED Certification, a relatively new quality control standard in architecture, can trace its origins back to the railway. Long before Henry Ford, the railroad was making rail and other products on a large scale. 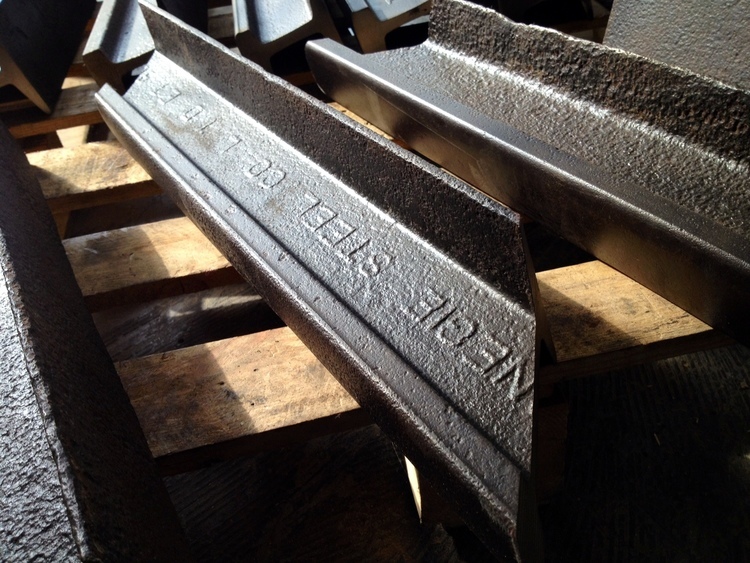 Manufacturing dates and batch numbers, some of the first advances in mass production quality control, can be found on steel rails dating back to the 1800s. Our steel comes from scrap railroad materials. This consists of metal collected during our railroad contracting business during track renovation projects. By upcycling this scrap material to furniture instead of recycling, we save the steel from being reprocessed and thereby minimize our product's carbon footprint. Much of our steel has already been in service for more than 100 years under heavy industrial use and exposed to the natural elements. Our process brings that material under roof, and combined with our dedication to crafting heirloom quality products, preserves it for a continued life well more than its previous century of use – effectively removing it from reprocessing. Our timbers are a creosote-free waste product from the railroad crosstie manufacturing process. Called culls in the industry, these timbers are those that do not make grade in the railway tie manufacturing process are set aside and left untreated. Culled ties are commonly burned for disposal. By removing the ties from the waste stream, we create a more sustainable product and lessen the carbon footprint yet again to eliminate the greenhouse gases that would be released during incineration. It is of note that these timbers are naturally creosote-free. They remain untouched by creosote. Made entirely of regionally sourced North American hardwood, the timbers come from the areas in and around Tennessee and Kentucky. 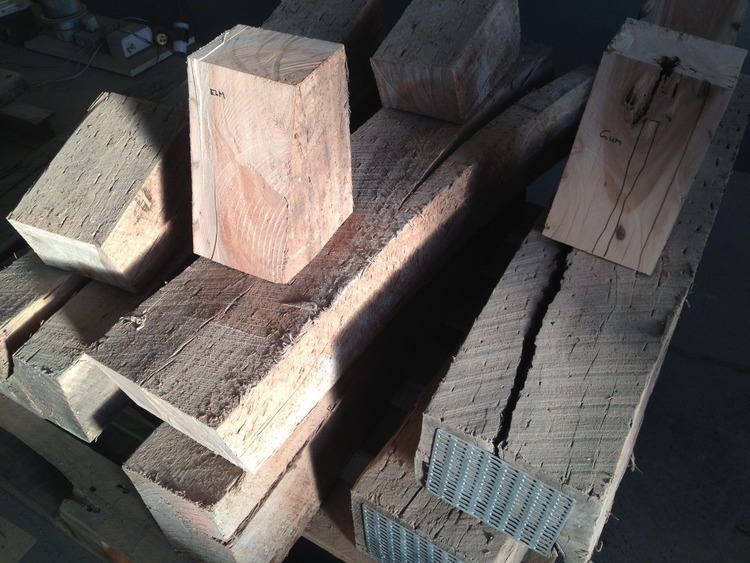 The process of manufacturing requires that the timbers be air-dried as opposed to kiln dried. Cut and stacked for drying, no energy is consumed in removing the moisture from the wood. Low-VOC stains and finishes help further minimize our environmental impact. Some of our finishes are plant-based and boast a 0% VOC rating meaning they do not emit any measurable fumes once they have cured. In shipping, we utilize reusable crating or recyclable materials like cardboard and heavy craft paper whenever possible to minimize our waste stream or make it easy for recycling at their destination. Manufactured in Nashville, Tennessee. 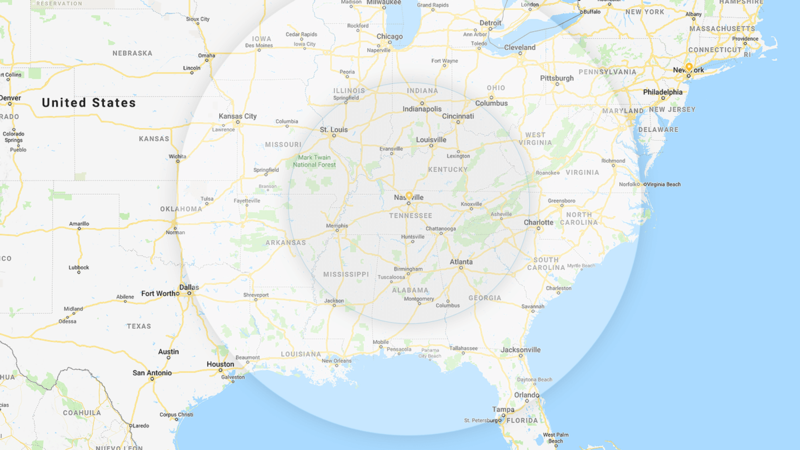 Our operations are within 300 miles of over 40 million people and within 600 miles of over 50% of the U.S. population. The city is conveniently located at the convergence of three major interstates, and the centralized location further reduces our environmental impact by minimizing our average shipping distance throughout the U.S.
Drops from the steel and timber become some of our smaller products like desk accessories and knick-knacks or even part of our three-dimensional sculptures. Unusable steel cuts are recycled. Unusable woodcuts are used by local cooks in smoking meats (primarily hickory) or by homeowners in firing wood stoves used for heating or enjoyed in their fire pits in cooler months. The net result is a waste stream so small that we do not maintain a commercial dumpster on site at the studio for disposal. Some might say we go a bit too far, but those are simply the folks who can’t take the heat of a workshop free of air-conditioning - yet another way we go to the extreme in building a sustainable product.